Silverburn Browbands are now on Twitter, follow us! I cannot express how proud I am for my small business to be through to the finals of which there are 6 finalists from over 2500 nominations. I cannot but thank each and every one of my fabulous customers and followers who nominated me for this award. It's not only myself this is exciting for, but also all my partner Stuart, my Grandad and his lovely wife Margaret who helps me with the finer details on my website (grammar and punctuation, very important) my friends and of course my followers who have watched Silverburn Browbands grow, it doesn't seem so long ago this website was first launched and me with a 3 week old baby at the time. Silverburn Browbands were in the press again with various publications printing the recent success getting through to the BETA Business Awards Finals! Silverburn Browbands attended the BETA International Trade Fair which was a super insight into the industry and what other companies have to offer from a trade point of view. One of the highlights for myself and my partner Stuart was seeing Joey the War Horse Puppet. He was absolutely fantastic and so realistic, it was somewhat amusing watching him playing up when the Horseware Ireland Representatives were trying to put a Rambo Supreme Vari-Layer Rug on him! My partner Stuart even won a beautiful set of crystal champagne glasses, as well as winning the table centre, which was a portait of Frankel donated by Breyer ... It was interesting going through security taking Frankel on the flight back to Aberdeen, he got a lot of attention and it was great to tell the story of how we came to have Frankel! Silverburn Show Canes have been recognised by Equestrian Vogue, who not only wrote their article featuring Silverburn Show Canes but also Total Impact Equestrian who have a stock of Silverburn Show Canes & browbands, as well as a picture of myself & my filly Wendy (Bletchleypark Codecracker) heading the feature plus a link to a newspaper article about Silverburn Browbands and the BETA Awards! It definitely brightened up my day! Unfortunately I have been very poorly of late, i was rushed to hospital resulting in me being in hospital for 5 days. I have had to stop taking orders until i am a bit better. On the upside, never one to sit idle, my inner creativity has been doing into overdrive leading to lots of new design idea's coming into the pipeline for development ... watch this space for some of our new products and ranges as they become reality! The first of the 2014 competitions brought to you by Silverburn Browbands is a browband competition with a little twist! 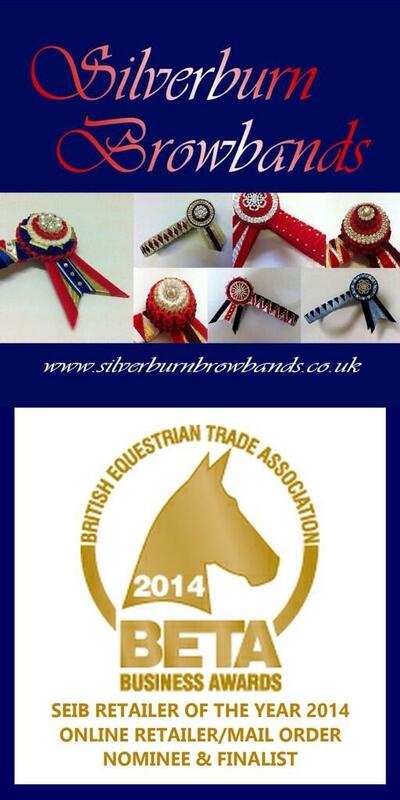 The April Silverburn Browbands competition is a Design a Browband competition! Unleash your inner creative flair and design your own browband! I have created a template of rough outlines for you to use as a guide if required. Ideally print this off in A4. Please add as much descriptive detail as you can, and fill in the details at the bottom of the form including the size of browband you would require should you win. The closing date for the designs is the 20th April which is easter Sunday. These can be sent back by post, email or by PM. When i have all the designs, i will upload them into an album on Facebook, and the top 10 with the most likes by the 27th April will then go forward to be judged for the winner. The winner will be announced on the 30th April 2014. 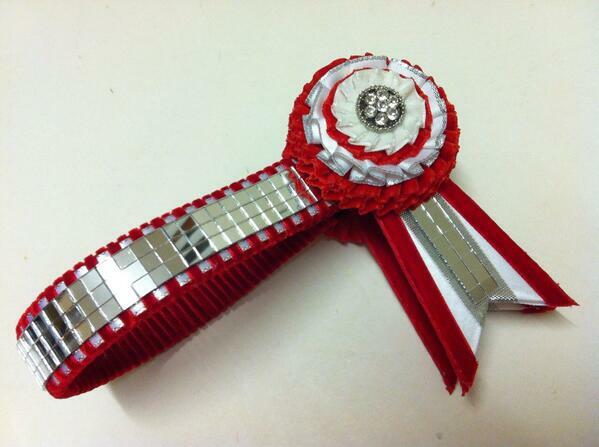 The winning browband will be made into a reality, uploaded to the Website/Facebook and then sent to the lucky winner. Please do share the competition, the more the merrier ... Good luck! My litttle girl having a ride on her pony Percy (Cosford Perpello) earlier in the week. This is what having ponies is all about, i think that her smile says it all! Entries have closed and the designs are in for the Easter Design a Browband Competition. Due to the low number of entries, the competition has been altered slightly, in that it will be the design with the most likes on the 30th April that wins the competition and is made into a reality. Silverburn Browbands recently donated an ex-display browband to Ivanhoe Equestrian which was hugely appreciated to go into a box of goodies for the children to dress up the ponies for lessons. Well, this is the sort of thing which really makes my day! These lovely pony clubbers and Pebbles the pony from Ivanhoe Equestrian won their Best Turned Out Competition today ... I think the winning touch was the Silverburn Browband! The two girls are 9 years old, and they plaited up Pebbles by themselves. Apparently she has a bog brush mane and tail! Really chuffed for the girls and i think it's a brilliant photograph! I love to see the kids having fun, it's what ponies are all about! Silverburn Browbands supplied some prizes and gift vouchers for the TSR (The Show Ring) Camp held at Keysoe. Now we are into the summer holidays, It's time for our Summer 'Design a Browband' competition!!! 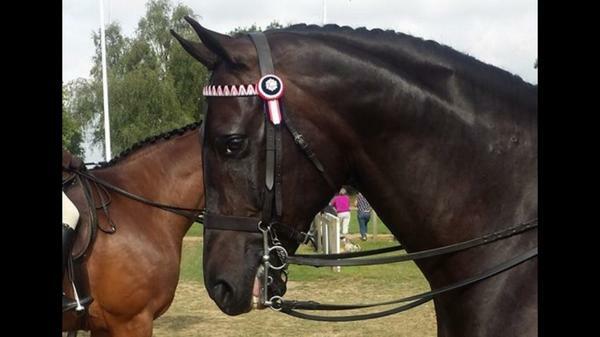 Unleash your inner creative flair and design your own browband - but be realistic (your horse has to wear it!) As with the Easter competition, I have created a template of rough outlines for you to use as a guide if required. Ideally print this off on A4, draw out your design nad get the crayons out! Please add as much descriptive detail as you can, and fill in the details at the bottom of the form including the size of browband you would require should you win. The closing date for the designs is the 17th August 2014. These can be sent back by post, email or by PM. When i have all the designs, i will upload them into an album on Facebook where the winning entry will be the one with the most likes by the 24th August. I've included a couple of examples from the easter competition. The winning browband will be made into a reality, uploaded to the Website/Facebook and then sent to the lucky winner. Please do share the competition, get your children involved - the more the merrier ... Good luck! Ivanhoe Equestrian is an affiliated pony club centre which enables young people to take part in pony club activities without their own ponys. Such an inspiring centre which is always full of fun! Unfortunately normal service has been somewhat hampered for a second time this year as unfortunately i had to undergo major stomach surgery at very short notice. I received my surgery date on the Friday and went into hospital on the Monday undergoing the 3 hour operation on the Tuesday. In order not upset any of my customers, or have to turn anyone away, my partner Stuart, and his family very kindly helped me with my little girl and my horses enabling me to do a record 3 weeks worth of browband orders in one weekend with me working non stop all day and all evening well into the small hours. My customers were all very appreciative of my efforts to go above and beyond what service should entail. Following getting home after my surgery, i have a considerable period of recovery time ahead of me, but my partner has very kindly taken a proportion of my work shop into the house for me so that i can continue to work on the HOYS orders, albeit slightly slower than normal, thus ensuring that no one is left disappointed and everyone will be glittering their way around the HOYS arenas. Sponsored Rider Kirstine Douglas had a super HOYS, with the Lightweight Hunter (Rehy Truly Special), Middleweight Hunter (Primitive Dancer II), Lightweight Cob (The Captain Morgan) and Large Riding Horse (Holtess D-Day) she produces all collecting tickets. I am absolutely ecstatic that my sponsored Rider & Team at Moor Farm have gone Supreme Horse AGAIN!!! at #HOYS!!! Congratulations Jayne Ross and Rosettes Directs Broadshard Simplicity! Way to go Saucey!!! What a super team Carol and Jayne have and what an end to the 2014 season!!! My youngster, Wendy, Bletchleypark Codecracker is now ready to start her ridden education and will be broken over the winter with the hope of bringing her out as a novice hack next season. She has been left to mature for an extra year and i really think the decision to take my time and not rush her is going to be one which will most definitely go in my favour. We have been nominated for a 2nd year running for the BETA Retailer of the Year awards, i really cannot express what this means to me and thank all my customers for their sincere nominations. I am delighted that so many are delighted with the service and products that they receive. Silverburn Browbands have been included in the first part of a horsey christmas gift guide by Aspire Equestrian. It's a super inclusion! Our little girl attended her very first ever show with her pony Percy (Cosford Perpello) They came home with 2x 1st, 2x 2nd and 2x 4th and a smile on both their faces, even winning the fancy dress!